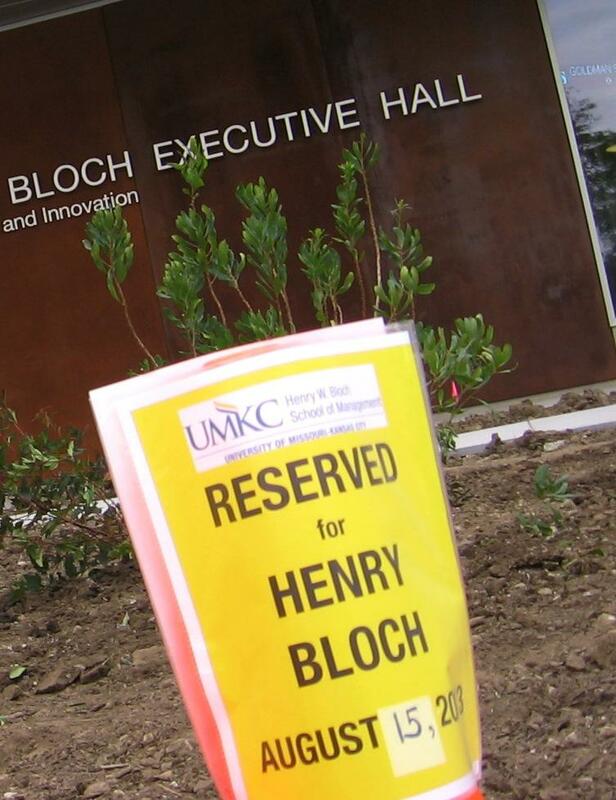 Benefactor is welcomed to first public view of new Henry Bloch Executive Hall at UMKC. Henry Bloch joined UMKC Chancellor Leo Morton and journalists touring the new school. The school concentrates on classroom technology, individual and group creativity in a unique setting. Lecture hall desks all swivel in arcs, encouraging shared learning between students. Skylights pointed in multiple directions deliver a variety of light and shadow throughout the day. Administrators expect the new Executive Hall will double business school enrollment to 3,000 students. Enrollment already has grown 70 percent since 2009, according to school officials.